Maintaining its profitable growth performance, national flag carrier Turkish Airlines (THY) posted an all-time high operating profit and managed to triple its net profit in the first nine months of this year. The carrier announced Wednesday a net profit of $755 million for the January-September period of this year, up nearly threefold from $263 million during the same period last year. The airline's total revenue increased by 20 percent to $9.9 billion during the first three quarters of the current year versus the same period last year, a statement by the company said. The airline also posted a record operating profit with $1.15 billion in the nine-month period, up from $956 million in the same period in 2017, despite the increasing fuel prices. The number of destinations served by the flag carrier reached 304, including 49 domestic and 255 international, in 122 countries as of September. THY operates a total of 329 aircraft - 217 narrow-body, 92 wide-body and 20 cargo aircraft - and aims to raise this number to 475 by 2023. The company carried nearly 58 million domestic and international passengers in the first nine months of 2018. The total number of passengers rose 12 percent year-on-year in the nine-month period. The number of international passengers - excluding transit passengers - climbed 13 percent between January and September. During the same period, the airline's seat occupancy rate - passenger load factor - increased by 3 percentage points to 82 percent. Capacity is essentially calculated by multiplying the available seats by kilometers. The carrier's passenger demand also rose by 10.3 percent in the same period, while the global aviation sector's demand increased 7 percent, respectively. The airline's earnings before interest, taxes, depreciation, amortization and rent (EBITDAR) increased 16 percent to stand at $2.8 billion. Subsidiary Turkish Cargo carried over 1 million tons in the nine-month period, marking a 25 percent rise year-on-year. industry," the airline's chairman, İlker Ayci, said in the statement. Last year, the airline carried 68.6 million passengers with a 79.1 percent seat occupancy rate. According to the airline's year-end targets, the company expects to carry 75 million passengers - including 33 million on domestic routes and 42 million on international routes - with around an 81 percent passenger load factor. 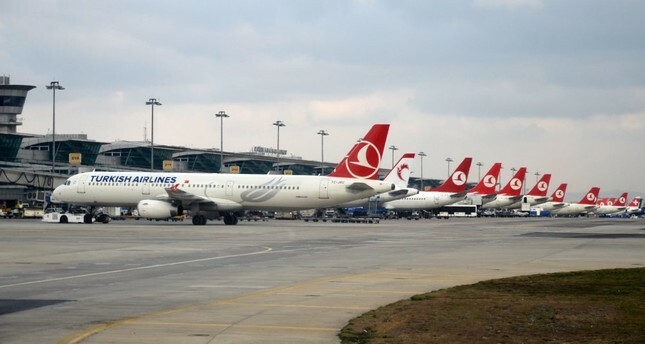 A total of 50.88 percent of the airline's stocks are publicly traded on the Borsa Istanbul Stock Exchange (BIST), while the rest are owned by the Turkish Wealth Fund. Turkish Airlines was named the Best Airline in Europe by Skytrax for six years in a row between 2011 and 2016, and chosen as the Best Airline in Southern Europe for the ninth consecutive time in 2017.